By, Andrea Pirrotti . If you engage with me you’ll know that one of my favorite sayings is, “Entrepreneurs build the plane as they fly”. 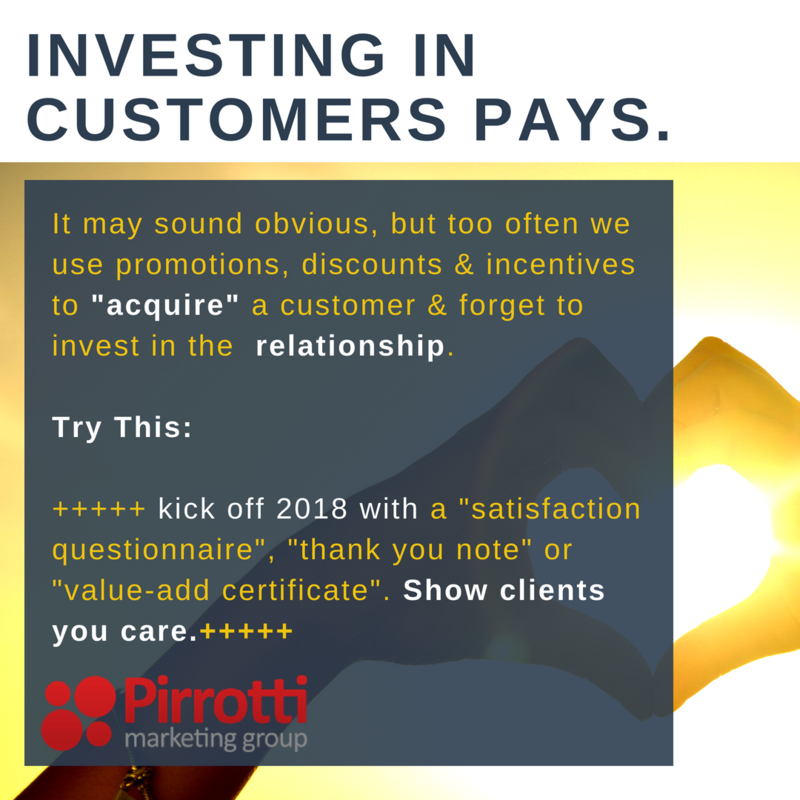 We simply don’t have the luxury to “wait” until the product, service, the initiative is perfect. So often “showing up” is 95% of the win. I’ve seen founders, creative directors, coordinators, fail because they were too riddled with fear to release a deliverable and press go. Fear of what? Fear that the deliverable was not yet “perfect”. Fear that the proposal, flyer, product, pricing, website, speech, banner ad, you name it – could not be released because it’s wasn’t “ready yet”. Fear of failure. In simple terms, this means- missing out on generating revenue from a holiday promotion because management could not agree on creative. Losing a deal because the Sales Person wouldn’t pull the trigger and send the proposal for fear that she wouldn’t win the deal if the proposal wasn’t compelling enough. Missing out on revenue from a referral promotion because the Creative person kept tweaking the email. Of course, I’m going to state the obvious here – but the irony is – the predictable results of not showing up is of course – failure. So let’s loop back to where I started. Entrepreneurs must build the plane as they fly. That means we must launch with confidence knowing that if we have the right systems in place, the numbers, the feedback, and our gut will guide us through continuous improvement and lead to success. Take these simple steps: (1) Envision what success looks like. (2) Have the courage document success. (3) Put systems in place to measure success. (4). Review results all along the way. (5) Be committed to making iterative changes all along the way. Have courage and show up. 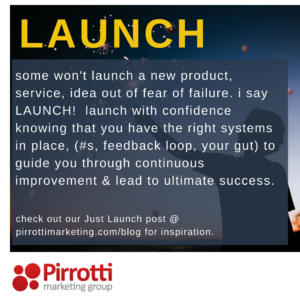 Do you have examples of how you manage your launch? We would love to hear. And, if you like what you’ve read, please “like us” and share! And if you need help with sales, marketing, brand stuff and launching then let’s connect.